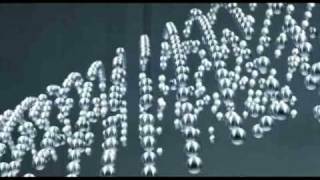 BMW has released a teaser video of its forthcoming 2011 5-Series Sedan and announced that the unveiling of the new generation will take place live via the Internet. The live reveal of the 2011 BMW 5 Series will take place on 23 November. Under the hood, this 5-Series is expected to use variations of existing engines in BMW’s line-up. Base power will likely come from a 2.5-liter straight-6, while top-of-the-range models will use the current 4.8-liter V8. A wild card could be thrown into the mix if BMW attempts to combine its latest turbo technology with a V8 of slightly smaller displacement. Also in the works is a more powerful version of the M5’s 5.0-liter V10. 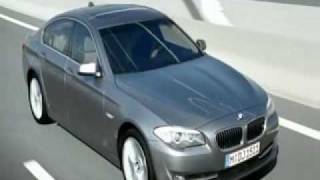 Watch the 2011 BMW 5 Series teaser video after the jump. Countdown: The new BMW 5 Series Sedan at the BMW Group PressClub. Munich. The World Premiere of the new BMW 5 Series Sedan, the synonym for aesthetics and Driving Pleasure in the premium middlerange segment, is about to take place. From today, we are releasing a short trailer teasing at the sporting and elegant design of the new BMW 5 Series Sedan, using the kinetic sculpture from the BMW Museum to create the silhouette. On November 23rd, 8p.m. CET, the kinetic sculpture trailer will be replaced by a Live-Stream of the unveiling ceremony of the new BMW 5 Series Sedan. At the same time all relevant media information will be available for downloadind at the BMW Group PressClub.